A strong storm on April 2, 2017 resulted in over 7 inches of rainfall over a 9-hour period in Vicksburg, Mississippi. During this intense storm event, a landslide occurred along the bluff immediately north of the Old Mississippi River Bridge and below the National Park Service’s Navy Circle Overlook. 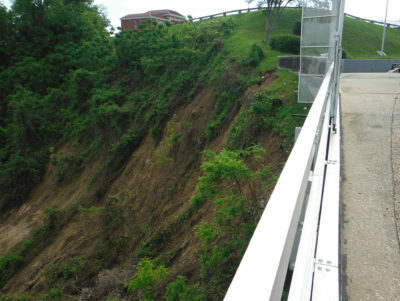 The landslide encroached on the north approach wall for the bridge and caused a regression of the bluff below the overlook. 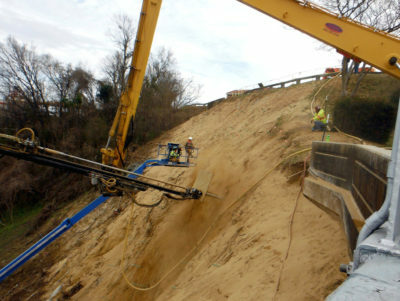 Burns Cooley Dennis was retained as geotechnical engineer by the Vicksburg Bridge Commission of Warren County to develop an approach for stabilization of the bluff and protection of the bridge abutment. Based on BCD’s evaluation, a soil nail wall was determined to be the most appropriate and feasible solution. 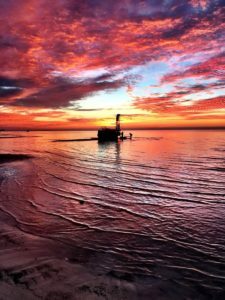 For over 90 percent of the wall, an environmentally sustainable soil nail wall facing consisting of a vegetated high tensile strength steel wire mesh and erosion protection matting was selected to stabilize the bluff. Directly beneath the bridge abutment, a shotcrete facing was selected to provide additional protection to the approach and the bridge end spread footing foundations. Hayward Baker, the design-build contractor for the project, did an excellent job of installing the high-quality soil nail wall quickly and effectively despite the complexities of the project. The soil nail wall was completed within a year with minimal disturbance of the bluff. 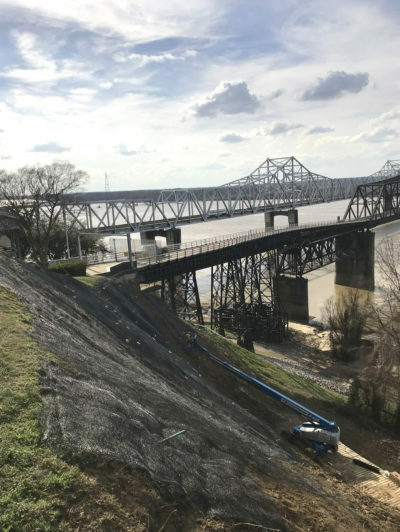 The completed wall is unobtrusive, but essential to preserving the Old Mississippi River Bridge, Navy Circle Overlook, and the expansive views of the Mississippi River from these historic sites.